If you are in a market for a spacious, family hauler and good off-roader, but a bit larger from the Tiguan model, the Company also offers a larger, seven-seat Volkswagen Tiguan Allspace. It is available in three trim levels: the SE Navigation, SEL and the sporty R-Line and no matter what version you choose, they all offer attractive design, quality and spacious cabin and several powertrains. At the moment, there is a 2018 model year available on the market. 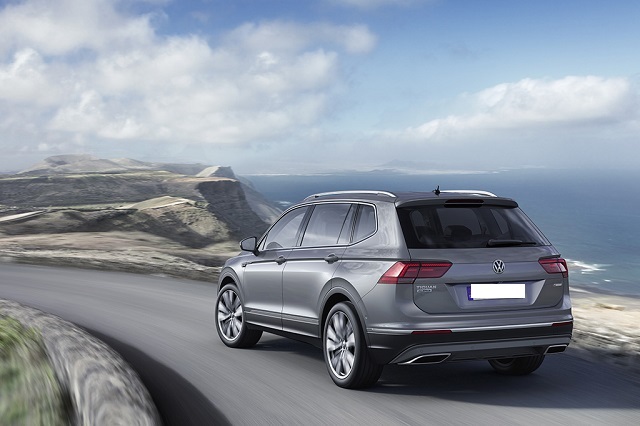 However, based on the latest reports, the carmaker is preparing the newest version which we will see as the 2019 VW Tiguan Allspace. The new 2019 Tiguan Allspace should arrive with no significant changes this time since it was the all-new for the 2018 model year. It is larger than the standard Tiguan. And the standard three-row configuration will definitely attract larger families and the buyers who love adventure because of its practicality and capability. As well, it is very well equipped even in the base trims. In the engine department, you will be able to choose between several diesel and petrol units, which will depend on a market. The main competitors of the VW Tiguan Allspace are Nissan X-Trail, Land Rover Discovery, and Skoda Kodiaq. The new 2019 VW Tiguan Allspace will feature several types of engines under its hood. So, there is a 2.0-liter TDI engine which is able to develop 150 horses. It will work with a six-speed manual and will come standard with all-wheel drive system. The next will be a 1.4-liter petrol engine with the output of 150 hp and the standard front-wheel drive. Furthermore, it will also appear with a 2.0-liter turbo petrol engine. This one will be able to produce 180 ponies. The most powerful version is a 2.0-liter twin-turbo diesel engine which will be able to generate 240 horsepower. The last two options will come standard with a 7-speed dual-clutch gearbox while it will be optional on the other models. There shouldn’t be any changes of the 2019 VW Tiguan Allspace in the external design. 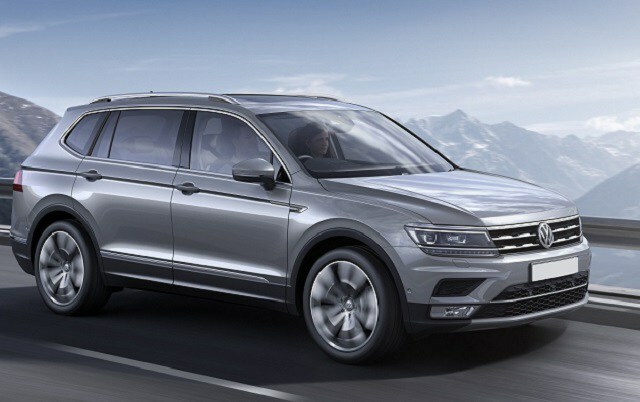 Like the previous model, it will be longer than the standard Tiguan which provides more space inside. As well, it looks more muscular because of extended rear doors, redesigned roof, and slightly different design of the C-pillar. The interior of the 2019 VW Tiguan Allspace also continues unchanged with standard three rows of seats. The third row is, however, best suitable for children. It can also be folded down to provide more space for the luggage. The materials used in its design are high quality and even the entry-level models get advanced tech features. The dashboard is fitted with a standard 8.0-inch touchscreen with infotainment system. Some of the standard features include USB, keyless entry, SiriusXM radio, leatherette upholstery, rear cross traffic alert, automatic emergency braking, pedestrian detection, and so on.The SEL premium version will add leather, a sunroof, power liftgate, adaptive cruise control and many other more. The arrival of the 2019 VW Tiguan Allspace still hasn’t been revealed to the public. However, the pricing should stay the same and it is around $29,500 for the base model.